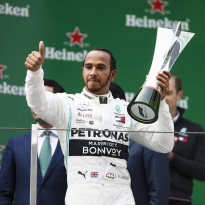 Lewis Hamilton has begun his quest for a sixth Formula 1 championship-winning success in 2019, having affirmed his status as a modern-day great and moved within striking distance of arguably the sport's all-time legend Michael Schumacher and his many milestones. Having already eclipsed the German's record for pole positions and the number of circuits won at, it's time now to consider the thought that many of Schumacher's long-standing F1 records may not be as insurmountable as once thought. Arguably in the best form of his career, the Mercedes star is showing no signs of slowing down as he approaches his mid-thirties, but can he really re-write the record books, or will the presence of young stars such as Max Verstappen and Charles Leclerc slow his progress in the coming years? 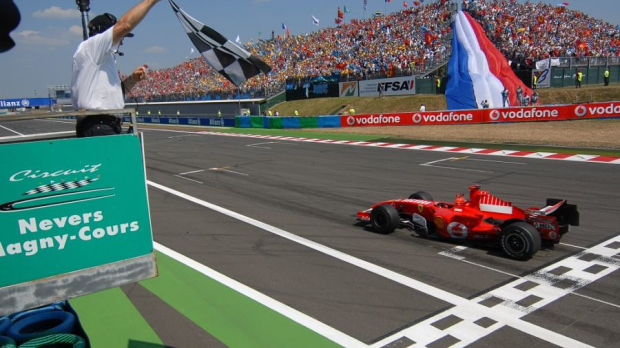 When Schumacher secured his seventh and final world drivers' title in 2004, neither Hamilton or fellow four-time champion Sebastian Vettel had made their F1 debuts, let alone added their names to the roll call of champions. Juan Manuel Fangio's previous record of five titles stood for 46 years until Schumacher eclipsed the Argentine, but to add a seventh was, to many, a step that would surely never be equalled. 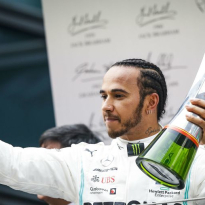 Now, after winning three of the past four championships to add to his maiden title win from 2008, Hamilton is closing in and he's likely to draw level with Fangio this year. 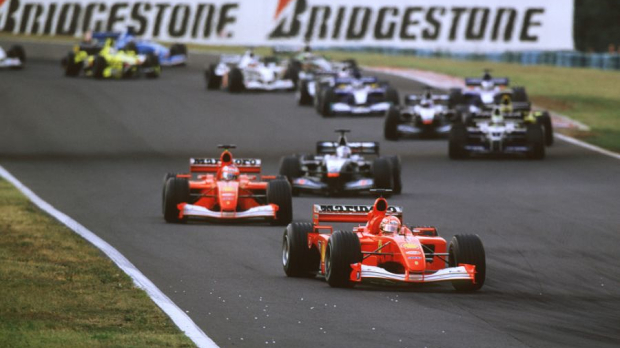 Schumacher's final win at the 2006 Chinese Grand Prix moved him 40 victories clear of the great Alain Prost, who had previously held this record. For context, Prost's tally combined with that of his fiercest adversary Ayrton Senna amounts to 92 - just one more than Schumacher's alone. 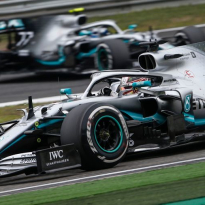 It's easy then to see how many believed Schumacher's count would never be matched, or even threatened, but Hamilton's dominance during F1's hybrid era has changed that. From the beginning of 2014 to the most recent race in Japan, Hamilton has won 49 out of a possible 96 races - that's 51% and an average of slightly more than 10 per season. 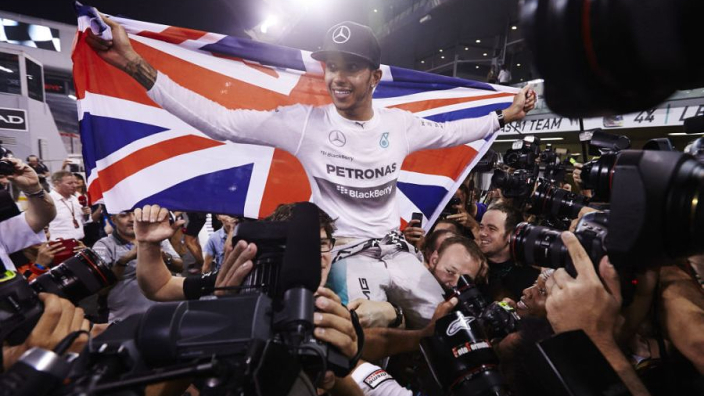 Barring a shock exit from F1, Hamilton has at least 45 races ahead of him. 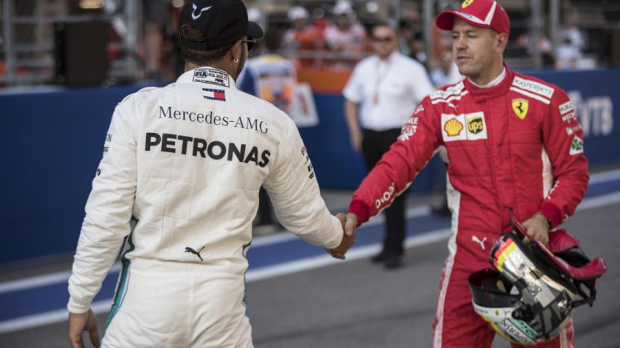 If he were to continue winning at his current pace, he would end 2020 with 94 grand prix triumphs, suggesting one of Schumacher's hallmark records is under serious threat. Schumacher holds the records for most wins at several grands prix, but Lewis Hamilton has enjoyed considerable success in four specific races during his career. Hamilton claimed his first win at the 2007 Canadian Grand Prix and has since gone on to win in Montreal a further five times (2010, 2012, 2015, 2016, 2017), a record he's also equalled at the Chinese, United States and Hungarian Grands Prix. 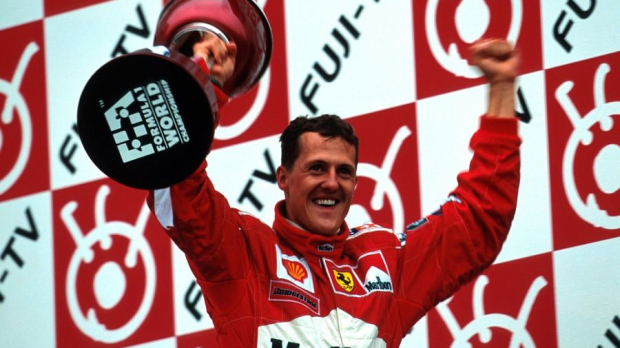 Schumacher's record stands at eight. Despite his name being so intrinsically linked to several memorable wins in Spa, it was - in fact - the French Grand Prix that proved to be his most prolific event. With at least another two attempts remaining at most of his favourite races, Hamilton looks in good shape to match or better Schumacher. Schumacher's record of winning at least one race in 15 consecutive seasons will surely be equalled if Hamilton extends his contract beyond the end of 2020. 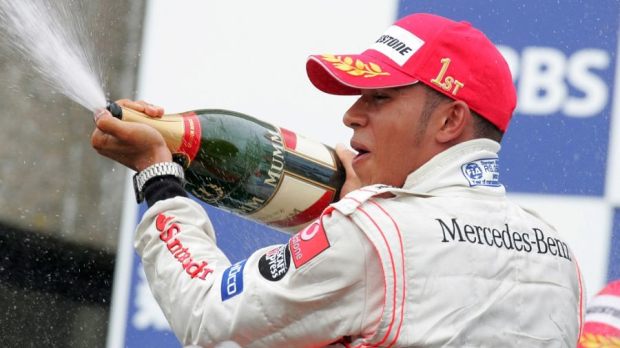 In his very first season in F1, Hamilton matched Jacques Villeneuve's benchmark for the most wins by a rookie and has since gone on to register at least one race victory in each of his subsequent 12 seasons, adding at least nine in each of his past five seasons. A record that seems certain to go, perhaps as soon as this season. Schumacher's 142 races led during his career was a massive 56 more than the next man on the list, Senna, until the emergence of Hamilton and Vettel. Vettel has led 98 grands prix during his career, but Hamilton is the clear challenger, needing to reach P1 in just 14 more races to take this record. Hamilton has led 76% of races held during the hybrid era at an average of 15 per season. If he continues at that rate, he will eclipse Schumacher's record before the end of 2019 and will more than likely retire having led more than half of the races he'll have entered during his F1 career. Schumacher's record of 22 hat-tricks, or grand slams, was largely cemented during his five dominant championship-winning seasons at Ferrari from 2000 to 2004. Similarly, Hamilton has achieved 12 during the hybrid era. 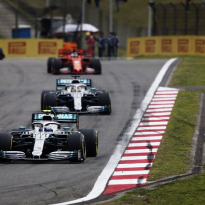 It's a difficult record to surpass as it requires Hamilton to not only have a dominant car underneath him for the remainder of his contract but to also string together a series of near-perfect weekends - not as easy as it sounds. Just recently, a 15th hat-trick was robbed from him by Vettel securing fastest lap on the final tour of Suzuka. Hamilton has taken to the podium in 58% of his F1 races to date, a better hit rate than anyone in the modern era. He has frequented the F1 podium so often in the hybrid era that he must now be considering having his mail redirected there. An astonishing 80% of races since the start of 2014 have featured Hamilton spraying champagne after the chequered flag has fallen. This is another one that looks certain to leave Schumacher's hands. They say you should never tempt fate - indeed this piece used to be the eight Schumacher records that Hamilton could beat. But then Kimi Raikkonen had to go and get involved, winning the 2018 United States GP and massively extending the record for gap between first and last wins, which now stands at over 15 years. That win came 15 years, 6 months and 28 days after Kimi Raikkonen's first win at the 2003 Malaysian Grand Prix, therefore he has just broken a Michael Schumacher record that has stood for 12 years for the longest duration between first and last Grand Prix wins. #F1 #USGP ?